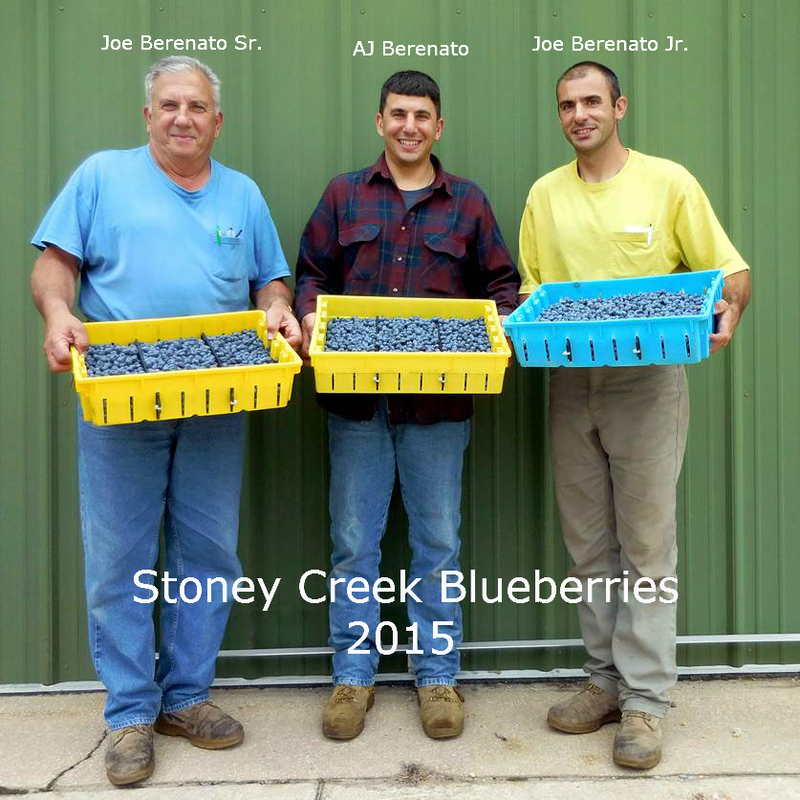 Stoney Creek Blueberries is located in the “Blueberry Capital of the World,” Hammonton, New Jersey. Stoney Creek was established in 1970 and has been family owned and operated through 3 generations. Since 2011, Stoney Creek has relied 100% on solar energy to power their state of the art equipment. 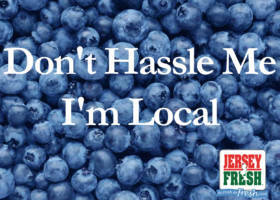 Drip irrigation covers all 155 acres of blueberries, which uses 50% less water than traditional farm sprinkler systems. The farm has a forced air cooling system that removes the heat from the freshly picked berries more efficiently than other methods, increasing shelf life of the blueberries. Stoney Creek holds itself to the highest standards; state of the art equipment is used so only the best is packaged, they participate in some of the country’s most rigorous farm audits to ensure the highest level of food safety and take part in sustainability practices to ensure the future of the farmland for generations to come. Tom Dunn and Charles Haines are the 11th generation owners of Larchmont Farms, located in Elmer, New Jersey. The farm was incorporated in 1769 and has since been producing the ripest, sweetest and juiciest peaches and nectarines grown on 800 acres. 2010 was a great year for Larchmont Farms and in turn the environment; the entire farm was converted to run on Solar Power, which in one year the solar panels will eliminate 800,000 lbs. of CO2 gas and 204,000 lbs. of Sulfur Dioxide being released into the air. All lights were converted to LED bulbs, which uses 5% of the energy of an incandescent bulb. 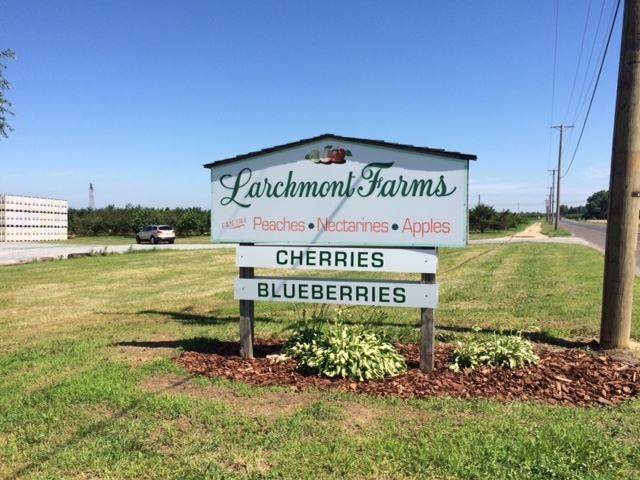 Larchmont Farms uses less pesticides by disrupting the mating “signals” of insect pests using Pheromone soaked twist-ties that are attached to trees throughout the orchard. All fruit from Larchmont Farms is packed into boxes that were made from 100% recycled paper. The farm also uses geothermal heating and cooling, further lowering the carbon footprint of the farm. Visit Larchmont Farms on Facebook. 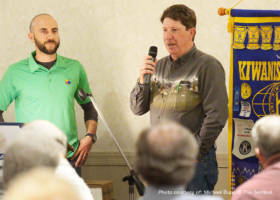 Greg Clark is the owner of Clark Farms which is located in Hammonton, New Jersey. Clark Farms originates back to the 1890’s when the great-grandfather of Greg Clark started the farm under Green Mount Farms (named due to its location near Green Mount Cemetery). 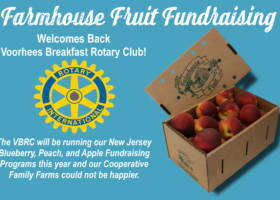 Peaches and apples were the main crop of the 40 acre farm up until Greg’s dad, Russell Clark, took over and expanded to 175 acres, with approximately 85 acres being preserved by the State of New Jersey. Today, Greg has replaced most of the peach trees with different varieties of blueberries, leaving a few acres of apples, peaches and strawberries for the family to enjoy! The farm has been upgraded significantly due to the rigorous food safety audits that results in top-quality blueberries. In the field, drip irrigation is supplied by new EPA Tier 3 certified irrigation pumps with turbines and monitored by Rutgers University Integrated Pest Management Program. The packing house is fully air-conditioned with a pre-cooler that drops the temperature of the berries from the field and a cold storage unit that stores the berries until shipping. The packing line is monitored daily to grade, sort and pack the berries. Clark Farms, based on respect for the land, dedication to quality produce, and a lot of hard work; continues to be a family affair with Gregory Russell following in his dad’s footsteps. 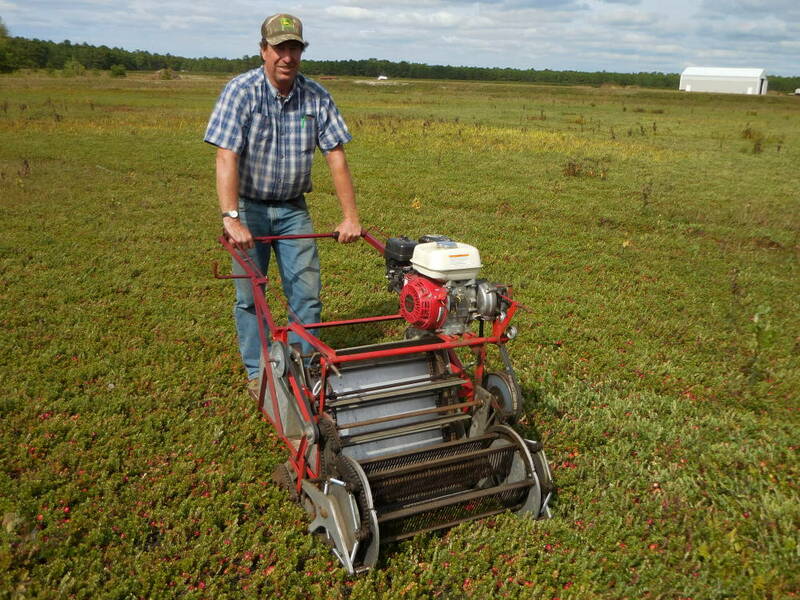 In 1985, Jeff Whalen took over 20 acres of Cranberry bogs, located in Shamong, New Jersey; which his grandfather, Everett Abrams, had farmed during the early 1950’s. Since that day, Jeff has been expanding his farm, which now consists of 700 acres. Whalen Farms is composed of 180 acres of blueberries, 125 acres of cranberry bogs and 395 acres of land that is part of the Conservation Steward Program, run by the USDA’s National Resources Conservation Services. Whalen Farms is a conscientiously ran farm, concerned about the environment; employing a strict recycling program, drip irrigation, state of the art Integrated Pest Management system, overseen by Rutgers University, and forced air cooling of blueberries, which conserves energy and produces a much fresher blueberry. 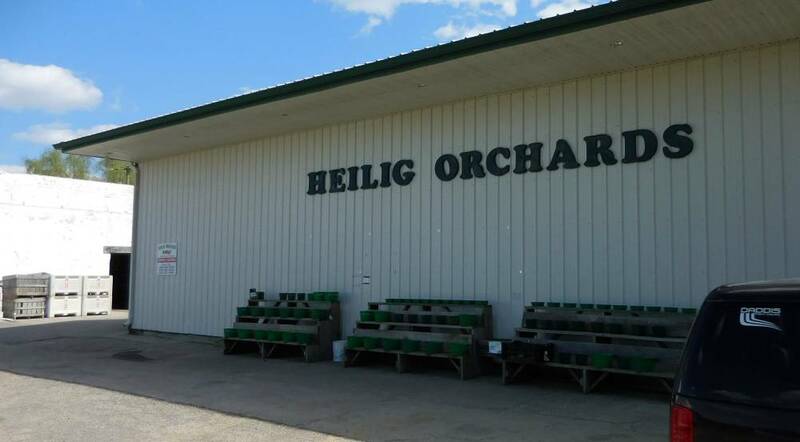 Carl “Pop” Heilig Sr. (3rd generation) and Carl Heilig Jr. (4th generation) are the co-owners of Heilig Orchards which is located in Mullica Hill, New Jersey. Back in 1909, the great-grandfather of Carl Jr. purchased 93 acres of land to farm cabbage and peppers, naming the business Charles Heilig and Son. Today, Heilig Orchards is made up of 225 acres (190 acres of peaches, 25 acres of apples, and 10 acres of asparagus) 93 of those acres have been permanently preserved by the State of New Jersey. All peaches have drip irrigation and industry leading Integrated Pest Management systems. Each year Carl replaces 10 acres of peach trees to ensure the farm is producing the highest quality peaches. Soon to be 5th generation farmer, Carl’s son Mason, is following in Carl Jr’s footsteps. Once Mason finished his homework, you can always find him helping out his dad around the farm, in one way or another.